The Sports Club is hiring. We need 4 individuals who would like a job for the summer. We require 2 individuals for the canteen. Duties include but are not limited to food handling, cash management, customer service and cleaning duties. 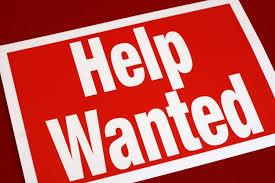 We also require 2 individuals for maintenance work. Duties include but are not limited to grass cutting, preparing the baseball diamond and soccer fields for game play. All individuals must be available evenings and Sundays. Successful applicants may also be required to work occasional Saturdays. Send your resume to Cindy at cmatthews349@gmail.com or if you would like more information. Resumes must be submitted by Monday, April 25.